Dr Paul Willis the Director of RiAus will make the introductory remarks at my opening tonight. This entry was posted in Malcolm Koch on March 22, 2016 by admin. 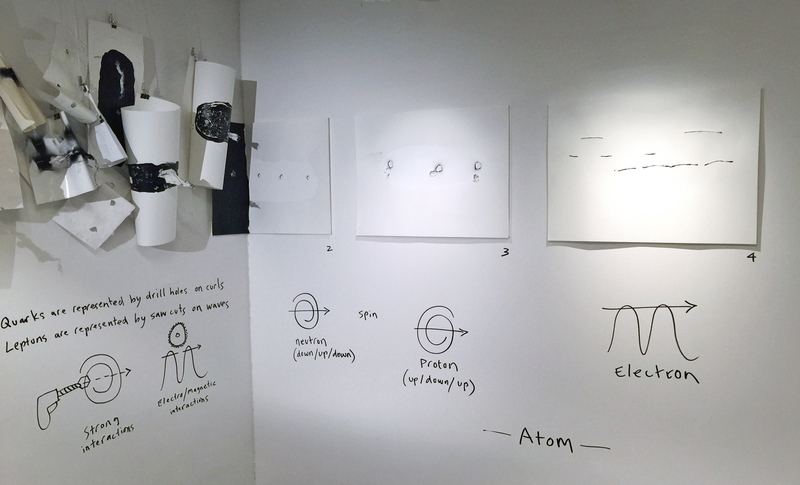 This exhibition is an expression of my understanding of quantum physics. I’m attempting to communicate how fundamental particles may have evolved. Quarks & leptons are the building blocks of matter – I’ve created curls & waves that relate to the physical properties found in these particles. The curved structures also create a framework that allows for connections and entangled systems to manifest and evolve that couldn’t happen any other way. This entry was posted in Exhibition, Malcolm Koch, Membrane Art, On display on March 16, 2016 by admin.